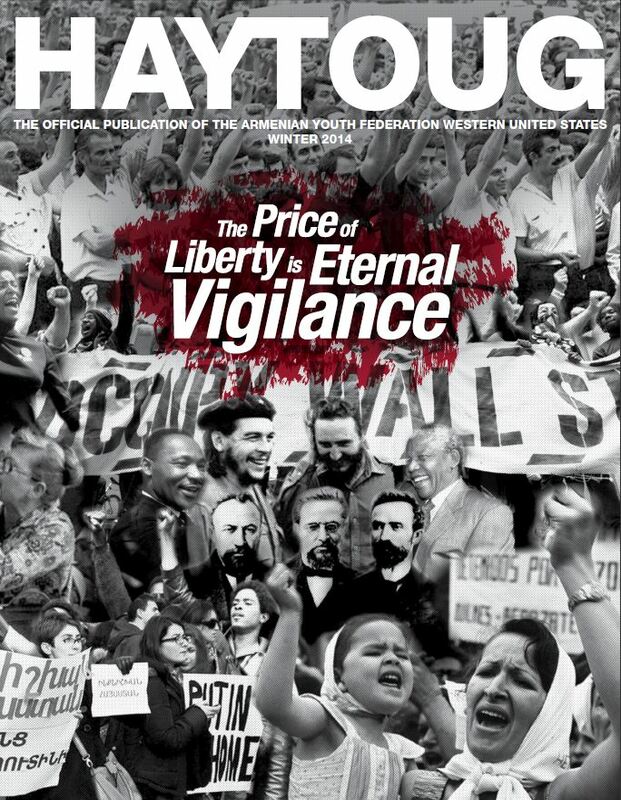 “Democracy is incomplete and lacking without socialism,” reads the Armenian Revolutionary Federation’s (ARF) manifesto. Socialism is mentioned in the ARF manifesto nearly twenty times, yet today, it seems to be a concept not many people in the community think about or even understand. 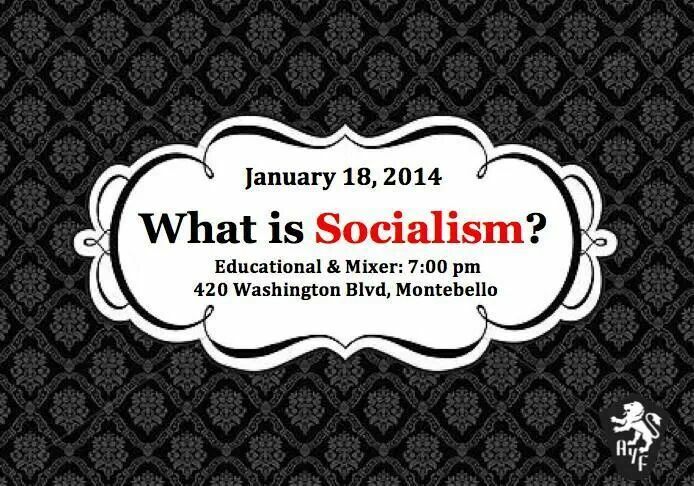 On Saturday, Jan. 18 at 7 p.m., the AYF Montebello “Vahan Cardashian” Chapter will be hosting an educational and mixer called “What is Socialism?” The interactive event is centered around the formation of socialist theory, history and it’s roots in the ideology of the ARF. Time will be allotted after the event for discussion. The speakers include Dr. Razmig Shirinian, who will cover the socialist influences during the formation of the Armenian Revolutionary Federation, and Nare Kupelian, who will speak on the history and birth of socialist theory. The event will be livestreamed for those who can not be present. Dr. Razmig Shirinian is a professor of Political Science at the College of the Canyons. Nare Kupelian is pursuing a PhD in History at the University of California, Los Angeles. 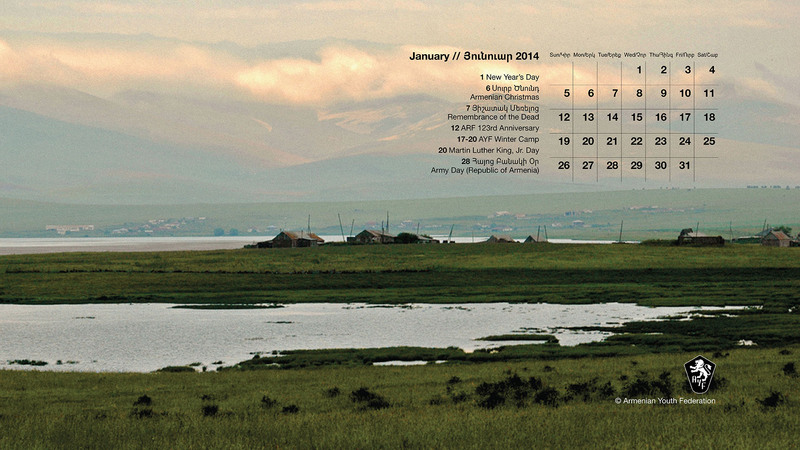 Desktop Calendar of events for January 2014. To download the full size, click the preview above. Right click on the full size image and save it to your computer. 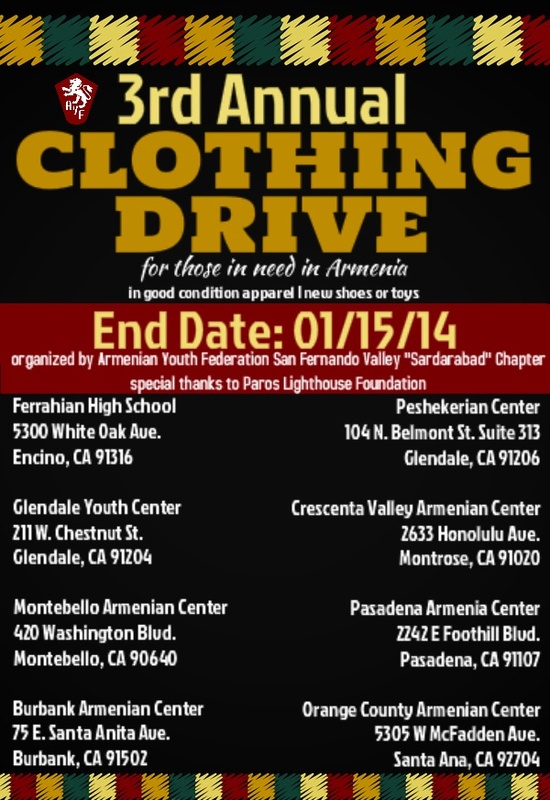 SAN FERNANDO VALLEY—In the spirit of the holidays, the Armenian Youth Federation San Fernando Valley “Sardarabad” Chapter is reaching out to the community for their support to make the Third Annual Clothing Drive a success. Shipped and distributed by non-profit organization Paros Lighthouse Foundation, the drive has helped hundreds of Armenians ensure that they have enough shoes and warm clothing in the past. This year, we are hoping to set a new record and need your help in doing so. Please donate new or lightly used clothing to Armenian Youth Federation’s Clothing Drive. Please drop off all clothing items at the following locations by January 15th. Further locations will be announced in the coming days. If you have questions about the drop-off locations or have any general concerns, you may contact the AYF chapter through e-mail at sardarabad@ayfwest.org. The AYF San Fernando Valley “Sardarabad” Chapter would like to thank you in advance for your support and wish everyone a Merry Christmas and a Happy New Year.